I usually don't like listening to outside music while I play games, and certainly not while I play atmospheric games like Limbo. 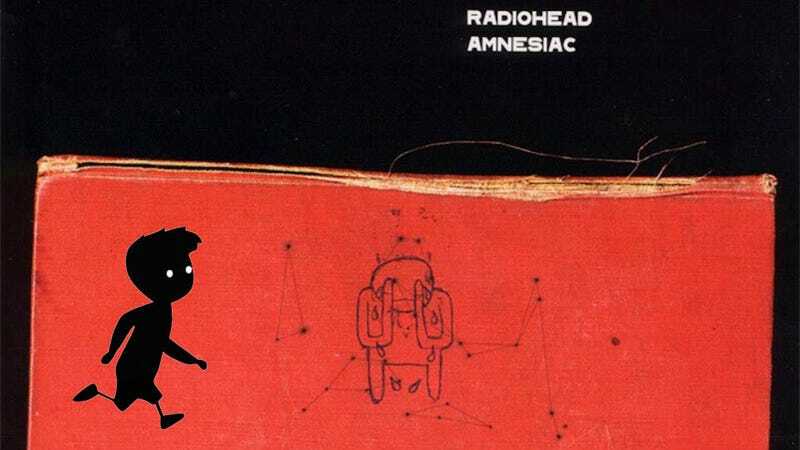 And yet if I had to choose an alternate soundtrack for Playdead's dark little game, I could think of worse albums than Radiohead's Amnesiac. The Gameological Society has combined the two, creating this video of the game to demonstrate just how well the album's tunes line up with various parts of Limbo. "If you'd been a dog," Thom Yorke sings in "Knives Out," "they would have drowned you at birth." This, among many other statements throughout the LP, paints the picture of rejection from a family. Likewise, the boy in Limbo searches for people like himself, only to find fear, hatred, and unmitigated destruction every time he encounters another human being. There's a lot of imagery to suggest that the world of Limbo is a damned place where only the vile and wicked remain to suffer, but there are oddly serene moments that suggest this may simply be the waiting room before the boy's life begins anew. In "Pyramid Song," Yorke sings, "And we all went to heaven in a little rowboat. There was nothing to fear, nothing to doubt."